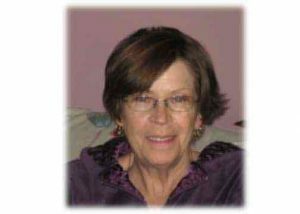 Dianne (Francis) McCumber, of Saskatoon, SK passed away peacefully on February 7, 2019 at the age of 73. A celebration of Dianne’s life was held at Sherbrooke Community Center at 2pm on Saturday March 30, 2019 with Pastor Mark Trew officiating. Dianne was born on January 31, 1946 in Flin Flon, MB. She moved to Saskatoon with her son Darryl, when he was at a very young age. When she first moved to Saskatoon she worked in a local store on Broadway making Mukluks. She carried on her love of sewing by working at several Custom Upholstery shops throughout Saskatoon. She was an exceptional artist and loved to draw. She enjoyed listening to old country music and loved to go dancing. She was predeceased in death by her father Cliff in 1992, and her mother Coral in 1998. Dianne is lovingly remembered by her son Darryl and her grandson Kayden. She is also survived by her brother Garry, (Eileen), nephews Brett, Scott and their families. The family would like to thank the staff at the Sherbrooke Nursing home for the excellent care they gave Dianne over the past several years. In lieu of flowers, donations may be made to the Sherbrooke Foundation at 401 Acadia Drive, Saskatoon, SK S7H 2E7.